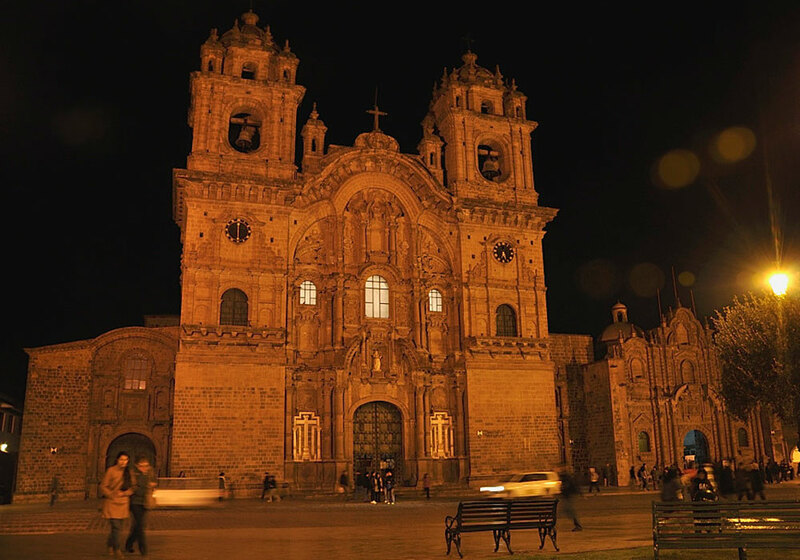 This article was posted on Sunday, April 14th, 2019 at 12:00 pm and is filed under Cusco Tours. When faith inspires artists, their canvases, murals and sculptures transcend the human dimension, acquiring celestial nuances, divine tonalities. It is as if the Almighty gave them a hint of their infinite creativity, so that their works become revelations or deep messages that shake the hearts of the pious and upset the conscience of sinners. Works that impact those who believe and those who doubt. That is the sensation that invades us in the Route of the Andean Baroque of Cusco, a cultural experience in four colonial temples of the Company of Jesus, which treasure the essence of a movement that enriched religious art, by including elements of the pre-Hispanic worldview – like the sun and the moon, like the serpent and the puma-in the decoration of the Catholic churches. Syncretism. The western and the Andean expressed in the passages and biblical scenes worked by mestizo or indigenous artists who could not divest themselves of the elements of their environment, of their own beliefs and ancestral traditions; then, they decided to include and perpetuate those motives in those works that had the purpose of evangelizing and stoking the faith in the cordilleran heights. Originating in the Peruvian Andes, this current reached its apogee in Quito, Arequipa, Puno and, especially, in Cusco, the legendary capital of Tawantinsuyo, nowadays the main destination of tour packages to Peru. 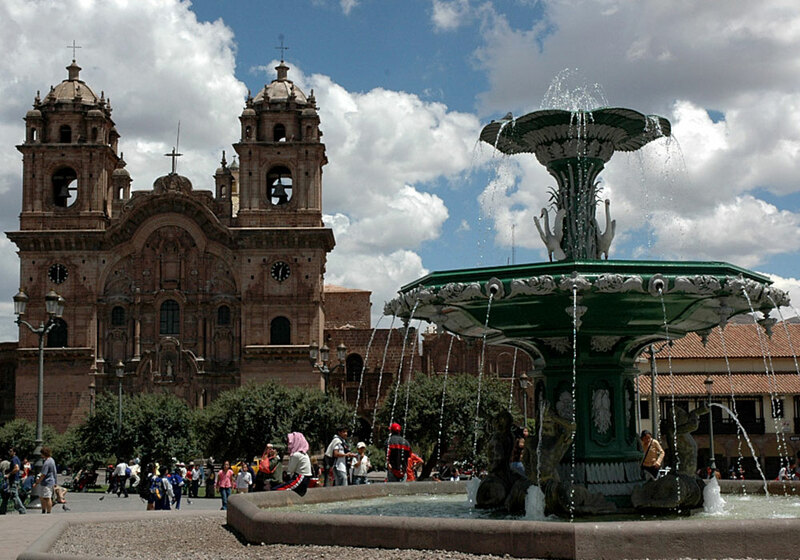 A destination that stands out for its Inca heritage and, at the same time, for its colonial heritage, masterfully expressed in religious art and architecture, the main elements of a singular proposal that begins in the Plaza de Armas, the heart of the Historic Center . It is there, amidst the urban and cosmopolitan beat, that the Church of the Society of Jesus rises toward the clouds. Superb and monumental, its carved stone façade is only the prelude to the beauties it houses inside. Built on the bases of the Amaru Cancha or House of the Serpent in 1576, an earthquake would leave it in rubble in the mid-seventeenth century. Persist, raise it again, invoking perhaps the Lord of the Earthquakes, a dark Christ who is the patron saint of the city. A colonial façade, a cedar altar carved and covered with gold leaf, several sculptures and paintings of the “Cusquenian School”, authentic jewels of the Andean Baroque, the tendency that also predominates in the temples of the Purified Virgin of Canincunca, San Juan Bautista de Huaro and San Pedro Apóstol de Andahuaylillas. Leave the city. Depart for Andahuaylillas through the South Valley, parallel to the Vilcanota River. Andean panoramas. Rural visions. Several temptations in the journey: Tipón, in place of the Incas worshiping the water, Piquillaqta, a legacy of the waris, who would have consolidated the continent’s first empire, and, Rumicolca, the stone gate in which controlled the access to Cusco of the children of the Sun. Keep the course, without deviating, without getting distracted to the Sistine Chapel of America. This is what is called the temple of San Pedro Apóstol, where one is afraid of emptiness and blank spaces, because all its corners are decorated or show an artistic detail. A rejoicing for the view that is collecting images of paintings and paintings of the Cusqueña School, such as the Baptism of Christ and the Virgin of the Rosary. Both works belong to Diego Quispe Tito, one of the greatest exponents of the Andean Baroque. 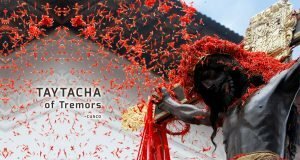 Originally from the neighborhood of San Sebastián (Cusco), he was born in 1611, a year after the construction of the temple of Andahuaylillas, which is already being left behind. Change of scenery. Another town, Huaro, the third church, San Juan Bautista, the name of another artist, Tadeo Escalante, the muralist who completely beautified this house of God. Born in the province of Acomayo, he would begin his pictorial career in 1802, precisely in this Cultural Patrimony of the Nation of Renaissance style built in the late sixteenth and early seventeenth centuries. His is the mural entitled The Last Days of Man, a set of allegorical compositions about death, the Last Judgment, hell and glory, among other aspects that he represents with mastery, uniting Andean and Western elements. Distances from Cusco: Andahuaylillas: 39 kilometers / Huaro 43 kilometers / Caninunca 44 kilometers. Heights: Cusco 3399 m.s.n.m. / Andahuaylillas 3122 m.s.n.m. / Huaro 3162 m.s.n.m. / Canicunca 3200 m.s.n.m. 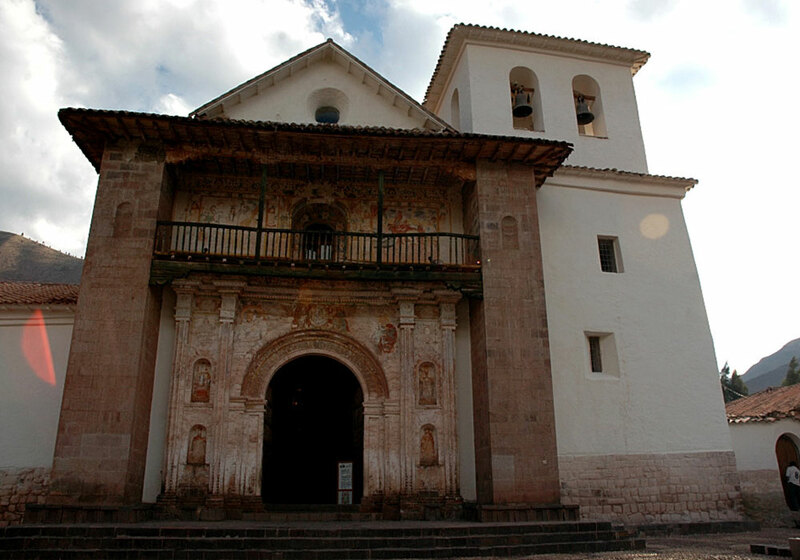 Time: The Andean Baroque Route can be visited on a midday excursion. The service is offered by the best travel companies in Peru. Pattern: The Lord of the Earthquakes or Taytacha Tremors is an image of Christ who, according to his faithful, stopped the violent earthquake of 1650.